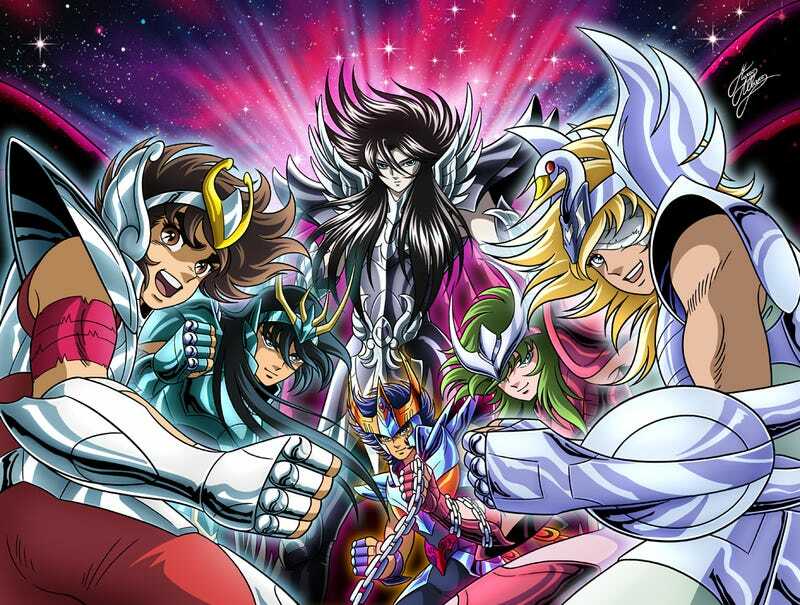 Saint Seiya The Hades Saga goes to Crunchyroll! All the “Three Chapters” of this Story Arc are available. Crunchyroll has announced today that the Last “Canon” Saga of the Saint Seiya Anime, known as “Saint Seiya: The Hades” will be available for the United States and Canadian Users; In Latin América the serie has been available for some time ago. It will be all the chapters. Ergo the “Santuary”, “Inferno” and “Elysion Fields” chapters. The Premium Users will have all of them to enjoy, while the free users will have a new chapter each week. Saint Seiya is a Shonen Manga and Anime which center on a group of Warriors known as “Saints” who protect the Goddess Athena and it is said that their punchs can cut the skye and their kicks crack the earth. They use the energy inside their body known as Cosmos and use armors whor epresent the Constellations. The Hades Saga covers the Story Arc of the same name and it happens little after the battle against Poseidon on Atlantis. The Sanctuary has been invaded by Spectres , Hades Army, and around them there are deceased Saints who died on the Past! So Seiya and the rest of the Sanctuary will have to face not only new enemies, but old friends as well! On Latin América, the series had two dubs. One for Tv , which was made with a new cast of dubbing actors; and one for the DVD´s which had the original cast.